“If you look at art that predates the 15th century, you’ll notice that most artists didn’t include horizons. Without a vanishing point, the scenes appear flat and, let’s face it, oftentimes boring. At the onset of the Renaissance, artists began realizing the power of perspective and included the horizon as the backbone of their visual art. After reading the post, it immediately reminded me of a photo I shot while in Costa Rica; one taken impromptu while on the beach at sunset. 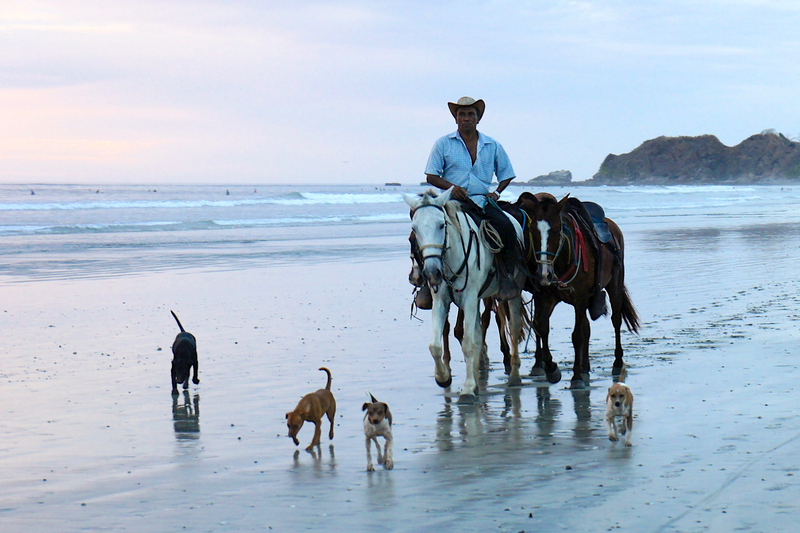 This photo of a man on his horse accompanied by a pack of dogs of various breeds/mixes represents a special moment to me, one that fully embodies the culture and the area in which I was staying. This is the photo I chose for submission to @mashablehq and the hashtag #MashPics. Social media allowed me to share this image with others, many of whom I do not know. It provided Mashable the ability to collect our images under a defined hashtag, and grouped a number of individuals now joined by a common interest. As one of the 20 selected, my photo can be seen in the Mashable gallery, accompanied by 19 others, at http://mashable.com/2012/10/04/photo-challenge-results-horizons/#92315By-Michelle-Millar. Thank you @Mashable for giving me the opportunity to become a part of your galleries and the story telling phenomena that is permeating our culture today. so beautiful and peaceful…and full of movement. congratulations!